When one thinks of the masters of cinema, Japanese director Akira Kurowsawa (1910-1998) would be towards the top of that tree. Ground breaking and innovative in not only the technical arena of the field, the way in which he used narrative has been a major influence on several subsequent generations of directors, including Roman Polanski, Nicholas Roeg and Quentin Tarantino. One can still see his influence in modern cinema, particularly the works of the titans of New Hollywood cinema, such as Francis Ford Coppola, Martin Scorsese, Steven Spielberg and George Lucas. 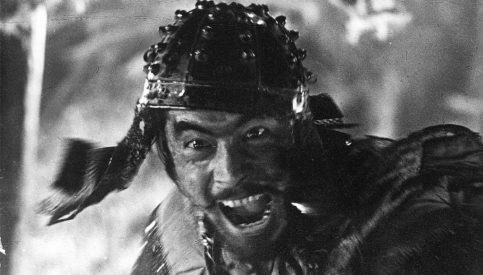 A hands on director that was incredibly passionate about every facet of the films he made, Kurosawa was also one of the first filmmakers that taught the world a narrative doesn’t have to follow a linear A-B-C path, as had been the standard way of telling a story in cinema across the world. Many consider his 1954 film “Seven Samurai” to be his masterpiece. However, there are many other works in his canon that are incredibly interesting works and, in some cases, the equal of that benchmark film. 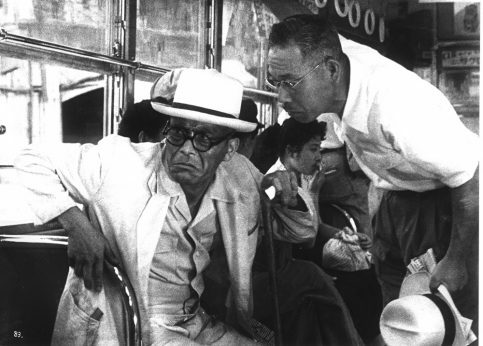 Here are 15 films from Kurosawa’s back catalogue that are very much worth your time. Smashing conventional narrative, “Rashomon” shows a particular incident from four different and at times contradictory points of view. A huge influence in Ingmar Bergman (see “The Virgin Spring”), this was the film that introduced Kurosawa to the Western world, winning the Golden Lion at the Venice Film Festival in 1951. With its minimalist sets, use of only three locations and striking use of light, it would continue to be a mainstay in relation to its influence and power. This was a film that used the idea of ‘fractured’ and ‘non-linear’ narrative while future directors Quentin Tarantino and Nicholas Roeg were still in short pants! It’s no wonder that one critic described the godawful 2007 film “Vantage Point”, that uses a similar narrative device, as “‘Rashomon’ for idiots”! Eloquent, heartfelt and at times achingly moving, “Ikiru” looks at a government salary man, beautifully played by Takashi Shimura, facing death in the form of terminal stomach cancer. Someone that has always sleepwalked through life, Ikiru is inspired to leave his mark on the world before departing it in the form of cutting through red tape and creating a children’s playground on what was once a mosquito-ridden cesspool. “Ikiru” affirms a truism in life, namely to embrace it and live it to the fullest. It also features one of the most haunting images from Kurosawa’s entire catalogue that of the main character sitting on a swing in the dead of night as the snow falls. This is essential Kurosawa. 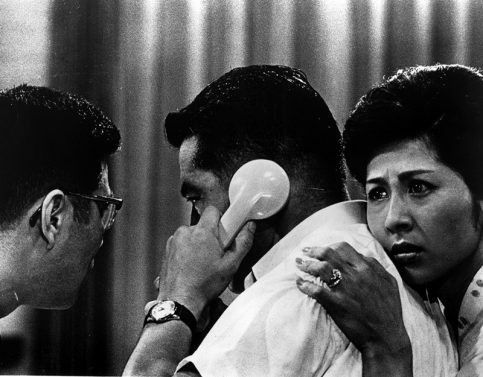 The game changer and a major turning point, not only for Kurosawa as a director but the world of cinema in general. 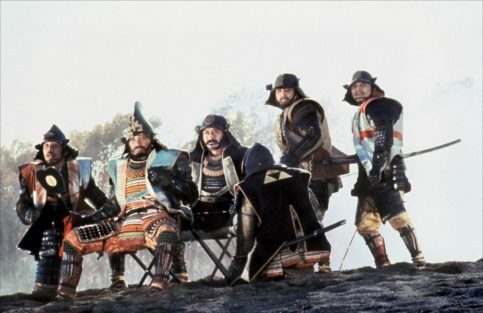 An eternal story of a bunch of ragtag samurai banding together to defend a village against a warlord who is intent of exploiting then for their own ends and means, the way in which Kurosawa tells his story in such a dynamic and visceral way still packs a punch fifty years since its release. Famously remade as the Hollywood film “The Magnificent Seven” in 1960, the old advertising slogan is true: nothing beats the real thing. This truly is one of the films you have to see before you die. Like Leone’s “Once Upon A Time In America”, this is one of those films where every cinematic element clicks together and compliments each other perfectly. After the epic, grandiose “Seven Samurai”, Kurosawa made this film which was very small and intimate in comparison. Still pertinent and vital, it showed a Japan coming out of the fear of nuclear war and World War II, but a nation scarred by the ramifications of what had happened in its recent past. An elderly factory owner, played by Kurosawa’s partner in crime Toshiro Mifune, becomes increasingly agitated and fearful of the threat of nuclear war, and becomes determined to move his family to the relative safety of Brazil. In this day and age of warfare, “I Live In Fear” remains more current and compelling than ever before. 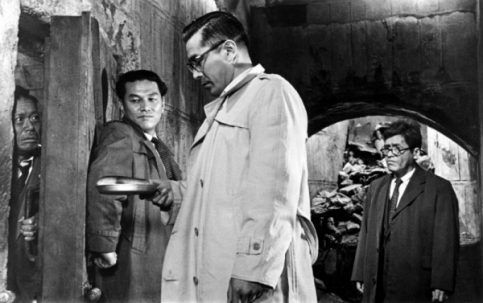 Along with “The Lower Depths”, this is one of two films that Kurosawa made in 1957. “Throne Of Blood” is a remarkable, compelling and powerful transposition of the Shakespeare play “Macbeth” to feudal Japan. A very Japanese take on a world-known text, it features one of the most iconic death scenes committed to film, which was paid tribute to in the original “Carrie”, directed by Brian De Palma. A film that’s somewhat flown under the radar, it a fresh and very interesting take on a text we all know. Like Martin Scorsese and Robert De Niro, Kurosawa had an incredible collaboration with actor Toshiro Mifune, working with him in eight films. “The Hidden Fortress” was one of the first films Kurosawa shot in Cinemascope, adding a greater sense of vision and majesty to his already formidable talents. It also features a striking narrative focalisation shift, being told from the perspective of the two lowliest characters in the story, Tahei and Mataschichi. George Lucas has acknowledged that this was a major influence on the original “Star Wars” (1977), with its tale being told from the perspective of the droids/comic relief duo of R2-D2 and C-3P0. “The Hidden Fortress” also uses very striking visual transition ‘wipes’, a mainstay and strong physical characteristic of all the “Star Wars” films. An underrated gem, this one. Both a scathing critique and analysis of corporate corruption, as well as a very personal take on the concept of revenge, “The Bad Sleep Well” shows Kurosawa taking aim at all that is negative in the world. Toshiro Mifune plays a man who works his way up the corporate ladder to expose the company for question for what it is, as well as avenging the death of his father, the perpetrator being the head of the corporation. Thematically, this is something that still holds sway with modern narrative and storytelling. The classic story of a ronin (classless samurai) caught between two warring factors in a small town, this story and film is one of the most iconic in cinema. Sergio Leone’s “A Fistful Of Dollars” was almost a shot for shot unsanctioned remake, which saw that film subject to a lawsuit from the producers of “Yojimbo” that held up the American release of “Fistful” for three years. It has also been subject to much homage in cinema, such as Walter Hill’s ‘Last Man Standing” and Joel & Ethan Cohen’s “Miller’s Crossing”. This is a story with a particular walk and attitude to it that never seems to go out of style. 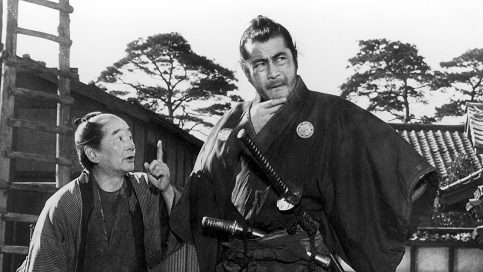 Such was the popularity of “Yojimbo” that the producers immediately called upon Kurosawa for a sequel. “Sanjuro” was the result. 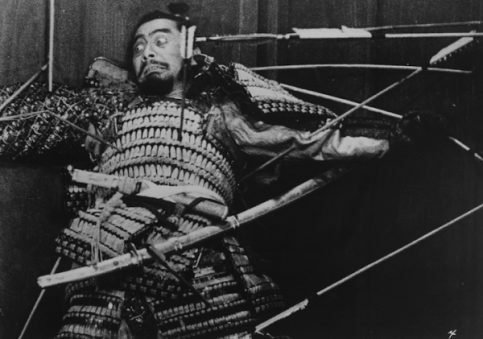 Again, Toshiro Mifune plays a ronin, this time charged with overthrowing a corrupt lord chamberlain. 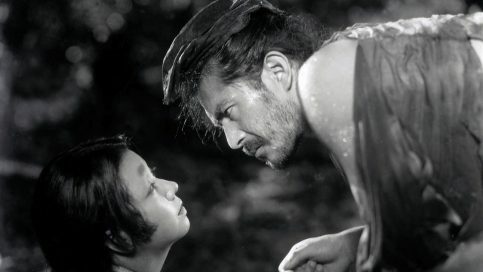 While lacking the originality and power of “Yojimbo”, “Sanjuro” still has a certain swagger and attitude to it. Featuring some stunning action sequences displaying the martial arts style known as ‘kendo’, along with it’s predecessor, it is a strong entry in the Kurosawa canon. Showing a hitherto unknown flair for crime drama, Kurosawa addresses the ideas of crime, violence and kidnapping in a haunting and highly impactful way. It addresses, in an unflinching way, the avarice and greed that flow through the concept of business and the workplace, being something of a precursor to the insidious way that, over time, bullying and harassment have made their way into the fabric of working life. This has proven to be a big central thematic concept in the work of latter day Japanese director Takashi Miike. This film is like a modern-day set companion piece to the director’s earlier “Throne Of Blood’ which was, in turn, based on Shakespeare’s “Macbeth”. 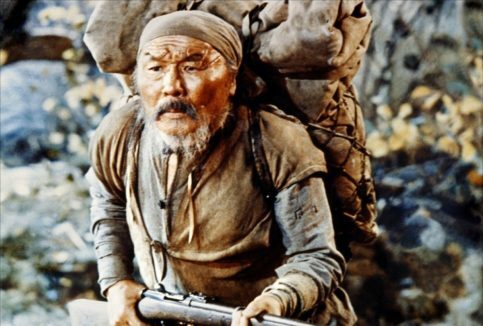 “Red Beard” is a film that has first and foremost one of the main themes and concepts that would course it’s way through many of Kurosawa’s films. Namely, the relationship between master and disciple. The film is set in a hospital and looks at the relationship between tyrannical but, at heart, deeply compassionate hospital director Niide ( a brilliant performance from Toshiro Mifune) and his arrogant young charge, Dr Yasumoto. 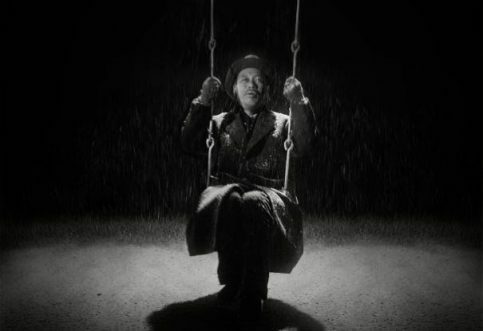 Like “Ikiru”, “Red Beard” shows Kurosawa at his most compassionate and empathetic for his fellow man, looking at the concept of life and what it is all about. For a film that runs over three hours, it has a very deliberate but never slow pace and feel to it. 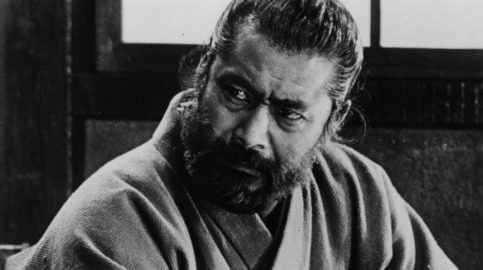 It was also both the final film Kurosawa shot in black and white, and the final film where he worked with Mifune, with whom he had a falling out due to the fact that “Red Beard” took two years to make and, due to the fact that he had to maintain the ‘beard’ of the title, Mifune was unable to get work in other films as a result. A Soviet-Japanese co-production, winner of the Best Foreign Language Film Oscar and the only film Kurowsawa shot in 70mm, this is a haunting, humanist work about the friendship that develops between a Russian soldier and a sherpa, set in the unforgiving terrain of Russia’s far East. A warm, humanist work, it illustrates the physical changing face of the world and its effect upon the individual. 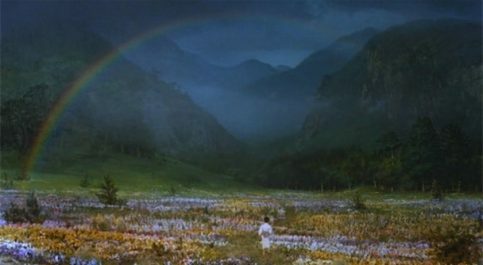 It also shows one of Kurosawa’s thematic concerns that runs throughout all of his work, namely the elements (earth, air, fire, water) and their relation to the world of man. An underrated gem in the Kurowsawa canon. 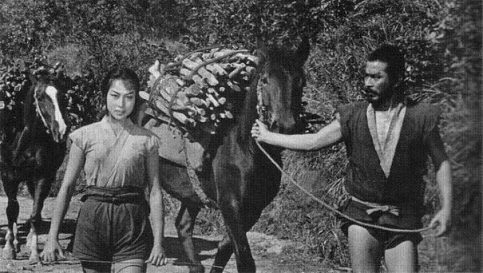 Winner of the Palme D’Or at the Cannes Film Festival (a tie with Bob Fosse’s electrifying “All That Jazz”), “Kagumesha” was one of the last of the Kurosawa ‘epics’. A film that looks at warfare and honour in times where that is in short supply, its masterstroke is how it addresses the idea of ‘the doppelganger’ or ‘the double’. Rumours have abounded for years of world leaders, such as Hitler and Hussein, having ‘doubles’ to reduce their chances of assassination in public. Kurosawa takes a highly philosophical and thought provoking attitude and approach to this in the film. It also features one of the finest battle sequences ever committed to film, involving over five thousand extras. Both George Lucas and Francis Ford Coppola came on board as executive producers, allowing Twentieth Century Fox the distribution rights. This was to primarily to make up the budget shortfall from Toho Studios in Japan. A magnificent film, this was latter period Kurosawa at the height of his powers. 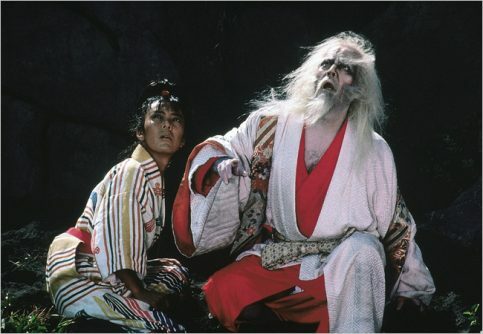 Another work adapted from a Shakespeare play, this time “King Lear”, with failing health and steadily less prolific cinematic output, this is considered to be the last of Kurosawa’s big epic films. A king exiles the ‘good son’, while the other two sons plunge what was once a peaceful kingdom into war, “Ran” is best known for its incredibly striking use of colour and landscape, as well as the cinemascope frame. Epic in every sense, this one is right up there with the best of Kurosawa’s work. A major left turn in regards to Kurosawa’s style and approach to film making, this is a compendium, split into eight chapters, based on actual dreams that Kurosawa had. It taps into a ‘magic realism’ train of cinematic thought only hinted at in previous works by the director. “Dreams” is a film that divided Kurosawa fans and lovers of cinema wildly. It really is a ‘love it or hate it’ proposition. Visually, it sees the director at his most playful and adventurous. 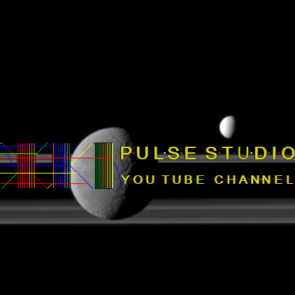 Posted by world.pulse on 10. November 2016.. Filed under Akira Kurosawa,Movies. You can follow any responses to this entry through the RSS 2.0. Both comments and pings are currently closed.